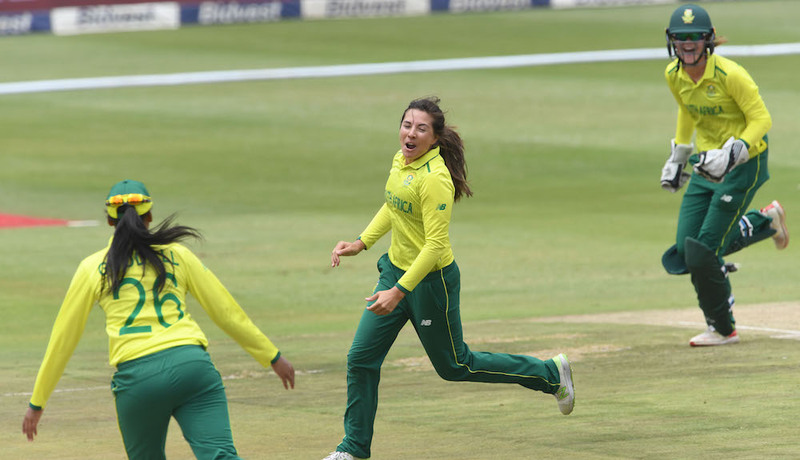 Two changes have been made to the Proteas women’s squad for this month’s ODI series against Sri Lanka. Suné Luus and Nadine de Klerk have replaced Lizelle Lee and Chloe Tryon. Luus and de Klerk shone during the recent T20I series against the same opposition. Luus was particularly solid en route to consecutive Player of the Match awards. Wicketkeeper Faye Tunnicliffe, meanwhile, is relishing another chance to impress. ‘It’s definitely a skill set that I have been focusing on a lot. Beforehand, coming into the team as a junior and playing such a big role as a wicketkeeper, there was a lot of pressure there. It’s something I take on the chin in terms of the pressure and the comments from everyone,’ she said. The first ODI will be played Senwes Park in Potchefstroom on Monday. Squad: Dané van Niekerk (captain), Laura Wolvaardt, Mignon du Preez, Lara Goodall, Shabnim Ismail, Marizanne Kapp, Saarah Smith, Tumi Sekhukhune, Suné Luus, Nadine de Klerk, Faye Tunnicliffe, Masabata Klaas, Andrie Steyn.